Sun Prairie at it's best! 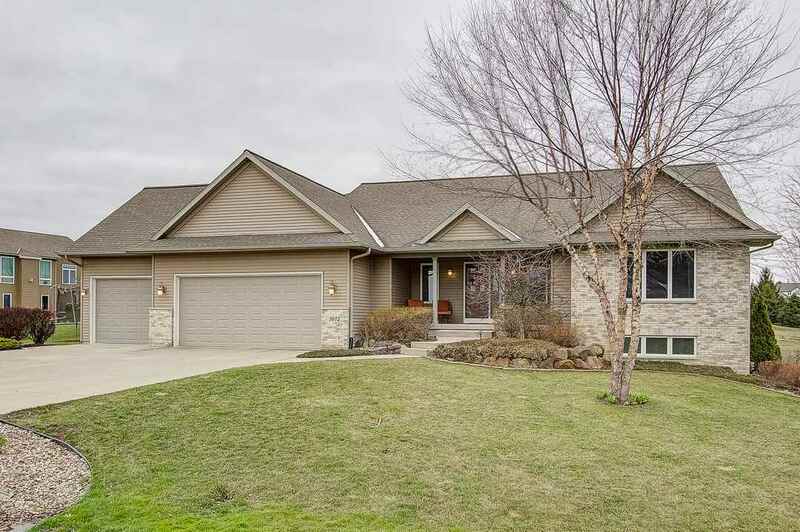 Walk in & notice the elegant stone fireplace; enjoy the open floor plan in this quality built, well maintained Ranch home in Norway Road Estates. Great kitchen space updated w/island, solid surface counter tops, induction cook top & convection oven. Retreat to the well appointed fully exposed lower level finished in 2007 w/wet bar, full fridge, 2nd fireplace, 2 bedrooms + den & garage access. Relax on the patio overlooking a big backyard w/built-in fire pit & small fish pond + invisible fencing. Low Town of Bristol taxes. Anderson windows & doors. Not a drive-by...impressive space!!! Directions: Hwy 151 To North On Hwy C, Right On Happy Valley, Left On Norway, Left On Wyndwood Way To Viking Pass.